BlueMax™ contains difethialone, an effective second-generation anticoagulant rodenticide invented by Liphatech. BlueMax is the best choice when long-lasting bait is needed. 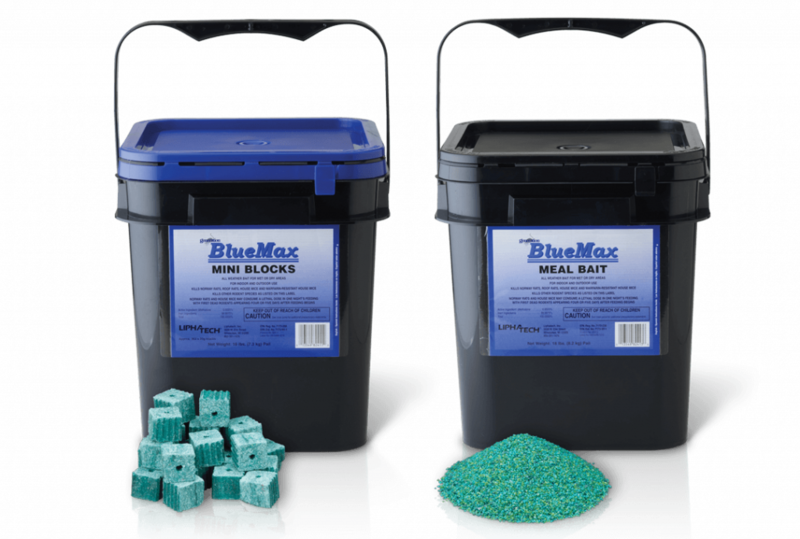 BlueMax mini blocks include mold inhibitors and paraffin. BlueMax meal also contains mold inhibitors and is approved for burrow baiting. 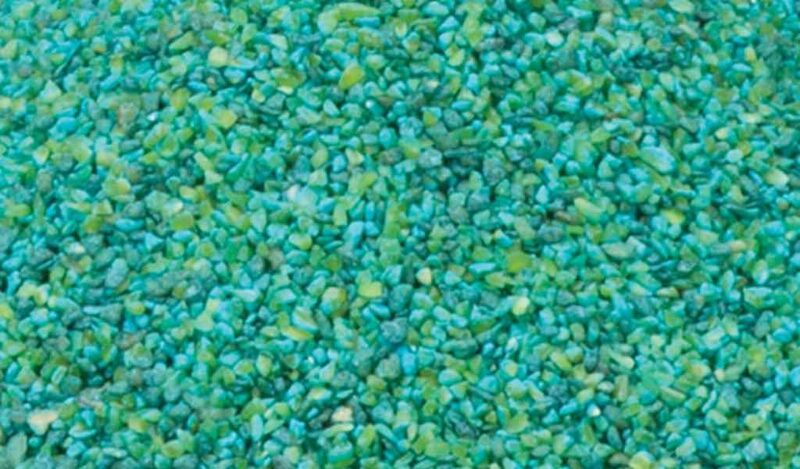 BlueMax's palatability and low crumb/low scatter formulation makes it perfect for the stringent requirements of food processing and commercial accounts. 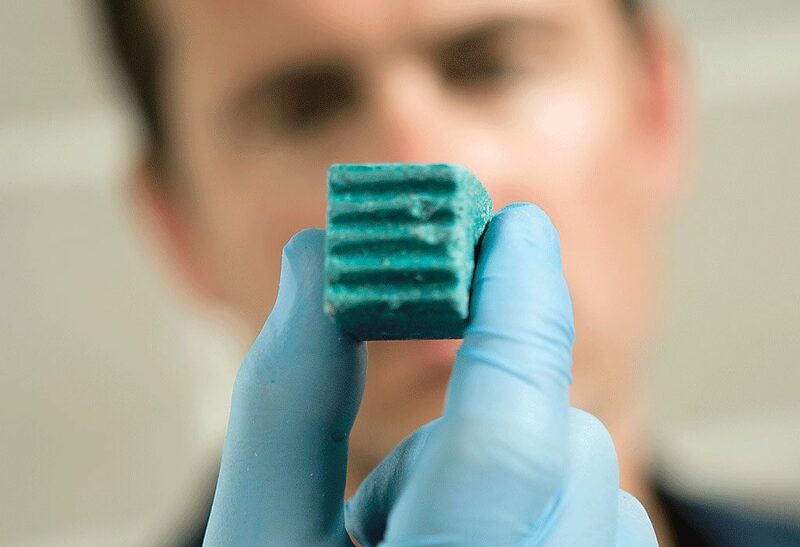 BlueMax 20g mini blocks are an ideal maintenance rodenticide for audited accounts and where crumbs and scatter are a concern. Formulated with difethialone (25 ppm), a second-generation anticoagulant; Vitamin K1 is the antidote. Place in areas with mold potential and/or humid, moist baiting conditions. Available in 16 lb. pails (363 blocks per pail). BlueMax meal rodenticide is an excellent choice for burrow baiting rats and mice in areas where non-targets cannot access the meal. Bulk formulation allows the user to place the amount of meal appropriate for a particular baiting location. Available in 18 lb. pails. Tolerance for rodents, especially in food plants, is zero. Without the great products Liphatech offers, we'd never be able to accomplish that.